‘Peace of Time’ is a lovely summer time read that is simply perfect to pick up and get lost in whilst lounging on your sunbed. ‘Peace of Time’ is based around a twenty four month time scale in the life of Jenny a kind hearted school teacher. Jenny discovers a new friendship along the way after an accident involving one of her pupils, then finds herself traveling along the dark path of infidelity whilst trying to uphold her strong beliefs in the principle of marriage. Rosalind Rendle writes with a lot of detail building her characters and bringing them to life. She takes time in her writing to grow each individual and develop their part in Jenny’s story. So before we get started tell us about Rosalind Rendle the person. I’m a retired primary school head teacher and I’m loving the freedom I have now. This would be freedom to eat lunch without running around doing six other things; (yes, I like food); freedom to dog walk when I see the sun; freedom to leave France, where we have lived since retiring and visit children and their families, freedom to pursue the thing I’ve wanted to do for a very long time – WRITE. My Mum was a published author many times over and she always urged me to get on with it but I never seemed to have the time. Now, I’m doing it. The story has a teaching background but the main focus is a girl discovering what is important to her in both male and female relationships. Trust and loyalty are paramount to her and appear throughout the story in various guises. When she is tested she demonstrates those qualities. Can others be the same for her? You chose the self-publishing route, this is a path that is quickly becoming more popular with authors these days. What helped you to decide that this was the path for you? It has taken me a while to discover and evaluate all the options that are available currently. The ‘big’ publishing outlets are extremely hard to break into and are reluctant to take on an unknown, especially in these times of austerity. I was not fully aware of the range of Indie publishers and self-publishing seemed a realistic option. Through the process I learned a huge amount about presentation, including front covers and some about marketing. I’m glad I took that route for that book, although for the next I may well re-evaluate and take a different route. I personally think that some of the best book that I have read are by self-published authors, but being self-published can carry some prejudice from traditionally published authors. What are your thoughts on this? I, too, have read some excellent work from self-published authors which I could name if asked. However, I do think it is not recognised in the same way as other methods of publication. For example, I joined the RNA as part of their New Writers’ Scheme this year. If my next book is accepted by even a small publishing house it will be eligible for one of their awards. If I self-publish, it won’t. I suppose there are some self-published books which do still need a lot more editing and proof reading before they are of an acceptable standard. How much of your own teaching experience have you used to write the book? If not how did you develop your ideas for the book? Some of the anecdotes in the book are from personal experience but none of the characters are a copy of any individual. More, they are each a composite of several plus, some imagined traits. The settings are developed in a similar way. The plot is partly from my own experience but mainly from that observed from people I know well. There always seems to be a dose of added ingredient that develops itself despite the fact I have written a well-defined synopsis before I start. I normally write stories that seem to grow inside of me then niggle away until I tell them. Would you say ‘Peace of Time’ was a story that you just needed to tell? I was always busy with a growing family and trying to balance the development of my career. I first had the idea for this story when I was in my twenties, ie many years ago. Only now have I time to really get to grips with such a long and concentrated task. I’m loving it. I have a second book which I am currently editing and a third I have started writing. The fourth is in my head nagging to come out. There’s no stopping me now I’ve started. Is being a story teller something that has always been a part of you? I have always enjoyed the process of research and writing. This frequently involved producing long essays, dissertation papers and policy documents, though, as well as stories that young children seemed to enjoy. Definitely dogs. We’ve always had a least one, apart from a short spell after the children had left home and we were both still working. 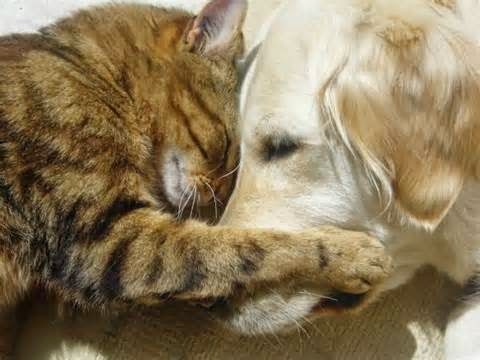 We got a cat then and she’s 16 now but dogs are by far better companions, for me. Tea, absolutely and if there’s cake to go with it that’s even better, any type will do and as big a slice as possible. And one of my favourite questions: your top four dinner guests, using past and present iconic people? Michael Portillo - I didn’t like him as a politician at all but he seems a right charmer as a TV presenter. I think he would be interesting to talk to. Cliff Richard – cheesy, I know but I would be interested to hear about his motivations for his various interests such as owner of a vineyard, continuing with recording at his age, religion too, I suppose. Jojo Moyes – I should like to think my books may be a little like hers in subject matter. I’d like to pick her brains. 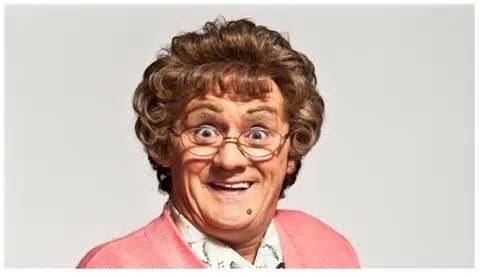 Brendan O’Carroll (Mrs. Brown) – I’d love to hear more about his extraordinarily talented mother although when he’s not being serious he could upset the other guests greatly. That might be interesting too.